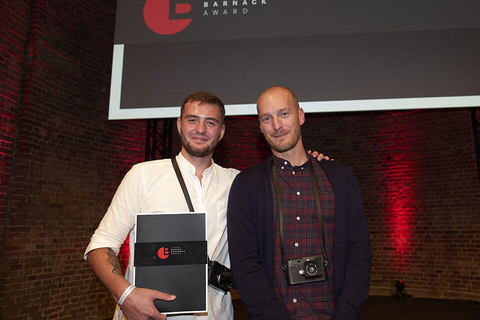 Yesterday evening, the two photographers, Terje Abusdal and Sergey Melnitchenko, were honoured with the prestigious Leica Oskar Barnack Award (LOBA) and Leica Oskar Barnack Award Newcomer before an audience of around 300 guests in Berlin’s Saint Elisabeth church. The international jury of experts had chosen a total of twelve finalists from the 2,700 portfolios of photographs submitted for the competition. This year, the long-established, international award was presented for the 37th time – the formal gala event was hosted by Till Brönner, the acclaimed jazz trumpeter and an accomplished Leica photographer. In the main category, this year’s award went to Norwegian photographer Terje Abusdal, with his series titled ‘Slash & Burn’. Between fact and fiction, he creates a mystical and expressive portrait of the Forest Finns, an in the meantime officially recognised ethnic minority in Norway. The winner in the main category, Terje Abusdal, was presented with a cash prize of 25,000 euros and Leica M-System equipment (a camera and lens) valued at an additional 10,000 euros. Ukrainian photographer Sergey Melnitchenko was honoured with the Newcomer Award for up-and-coming professional photographers up to the age of 25 for his portfolio titled ‘Behind the Scenes’, a series of images captured behind the scenes in a Chinese nightclub. He delivers rare insights into the world of show business and benefits from his own experiences as a dancer. The winner of the Newcomer Award was presented with a cash prize of 10,000 euros and also received a Leica rangefinder camera and lens. In addition to the two award winners, the remaining ten finalists all attended the presentation of the awards and presented their portfolios to the audience. 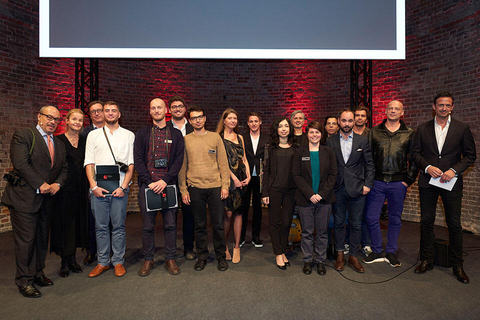 Each of these ten finalists was honoured with a cash prize of 2,500 euros.